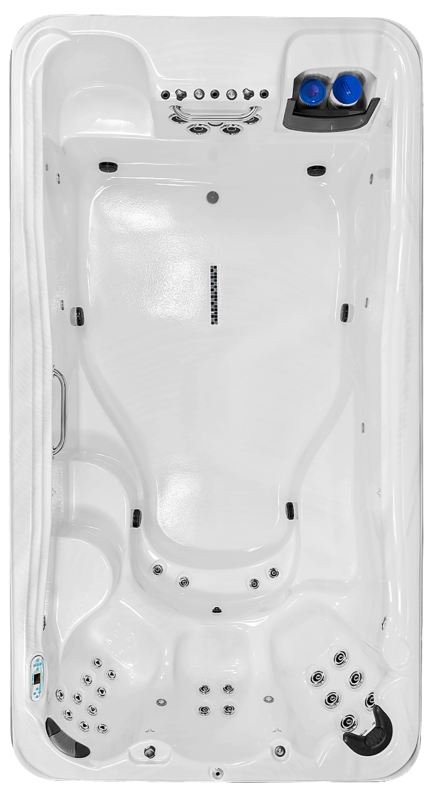 All swim spas are available with varying option packages. 144 in. x 91 in. x 45 in. 144 in. x 91 in. x 52 in. 168 in. x 91 in. x 52 in. 180 in. x 91 in. x 60 in. 231 in. x 91 in. x 54 in. 250 in. x 91 in. x 54 in. Smooth, low-impact, and non-load bearing, rowing spreads the exercise intensity evenly over the body’s three major muscle groups. Resistant cords are used for curls, tricep extensions, chest presses, shoulder pulls, and back pulls. The resistant swimming tether training system adds dimension to the range of the TidalFit exercise options. 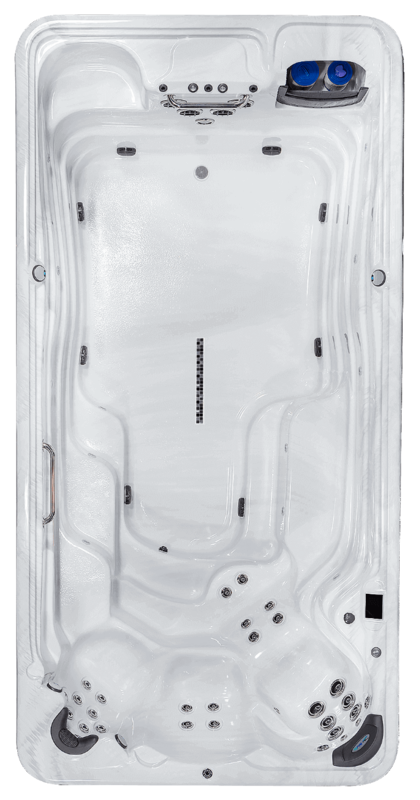 The optional BellagioFall features three adjustable arches of water. Download the Waterway Spa Control app for your smart device to control your exercise pool wirelessly. 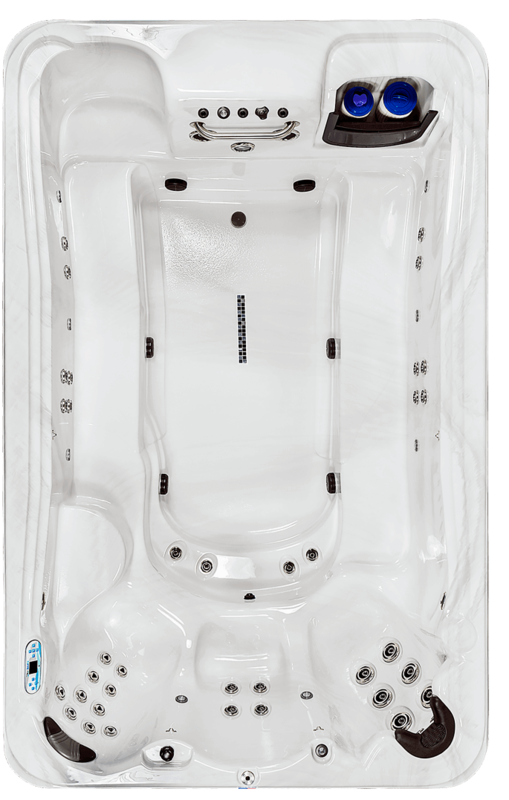 TidalFit Swim Spas are great for relaxation or family fun. A pool, hot tub and aquatic gym all-in-one! Have all the benefits of a full size pool with less cost, less space and less maintenance. 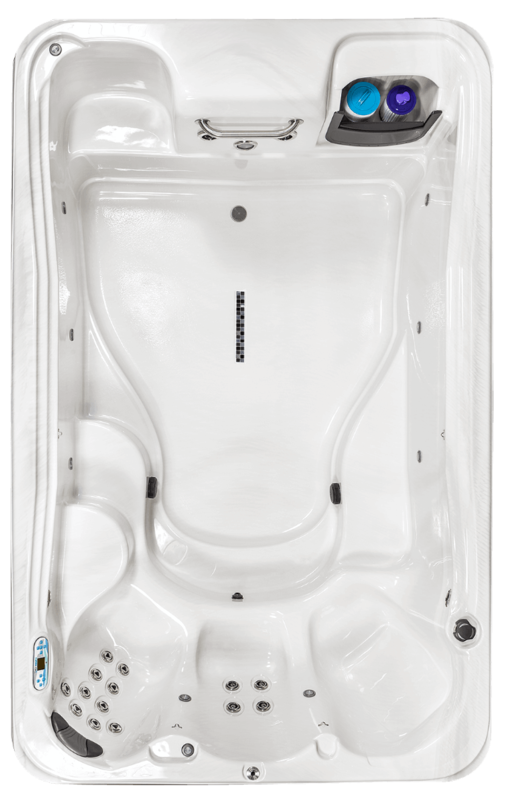 It meets the needs of both fitness enthusiasts and those wanting an alternative to a traditional swimming pool for fun and relaxation.